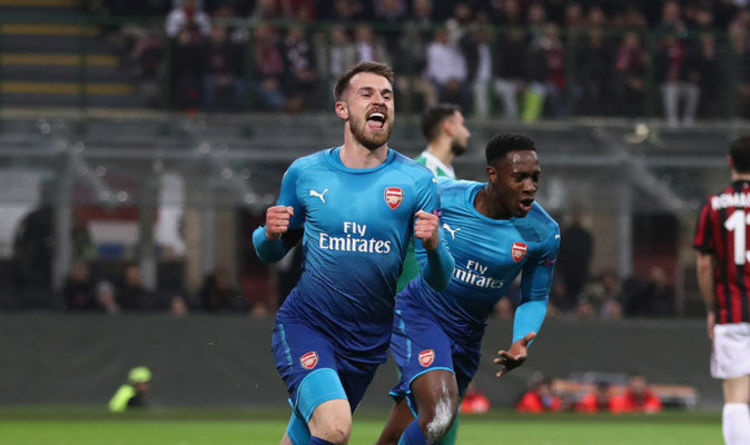 That’s according to Arsenal midfielder Aaron Ramsey as the Gunners prepare for the second leg of their Europa League last-16 clash with AC Milan. Arsene Wenger’s side take a 2-0 lead back to the Emirates after goals from Henrikh Mkhitaryan and Ramsey in the San Siro a week ago. While Arsenal are competing in Europe, they are struggling domestically. The north London club sit 12 points behind fourth-placed Tottenham with just nine games remaining. And Ramsey knows European success could hold the key to Champions League football come next season. The Welshman said: “It’s a massive opportunity for us, so that’s something that we’re going to have to be prepared to give absolutely everything for to try and achieve. "This game is very important for us and our season. We saw how good they are, we can't take our foot off the gas. "It's important we treat it as 0-0 and go out there for the win." Arsenal got their Premier League season back on track at the weekend with a comfortable 3-0 win over Watford. Before victory over the Hornets, the side had suffered four defeats on the bounce. But Ramsey believes the belief is back. He added: “I think we needed that result out in Milan. “Obviously, it’s been a bit of a tough run of games for us, but we’ve tried in every single game.